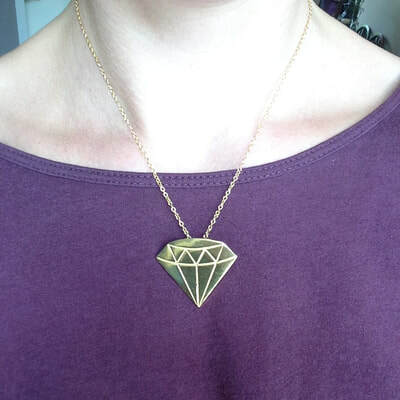 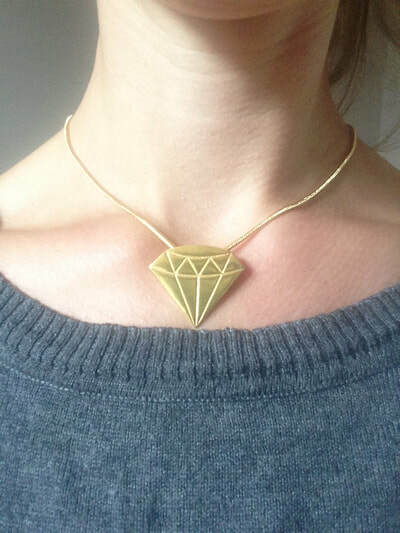 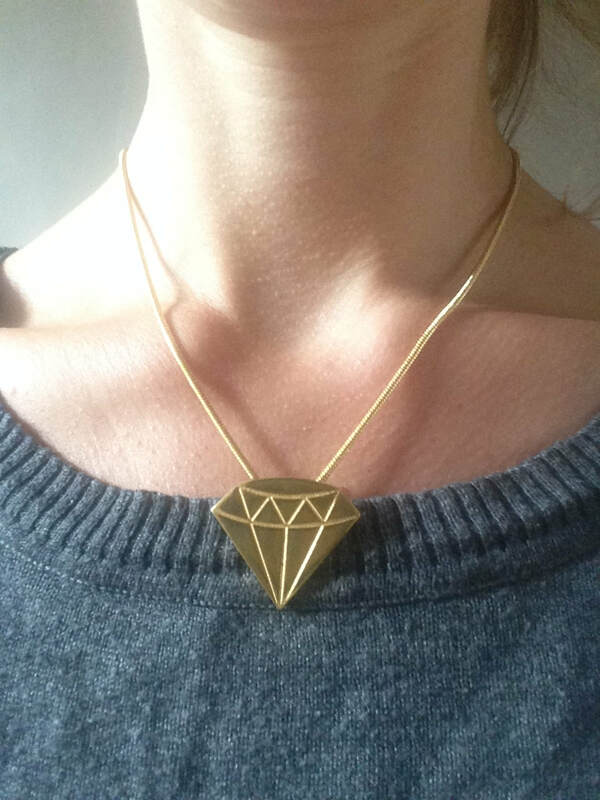 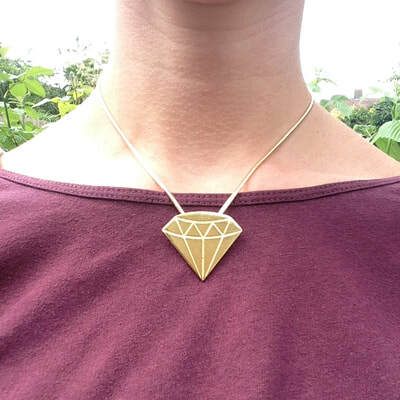 This geometric diamond shaped pendant is a stunning, solid piece of jewellery. 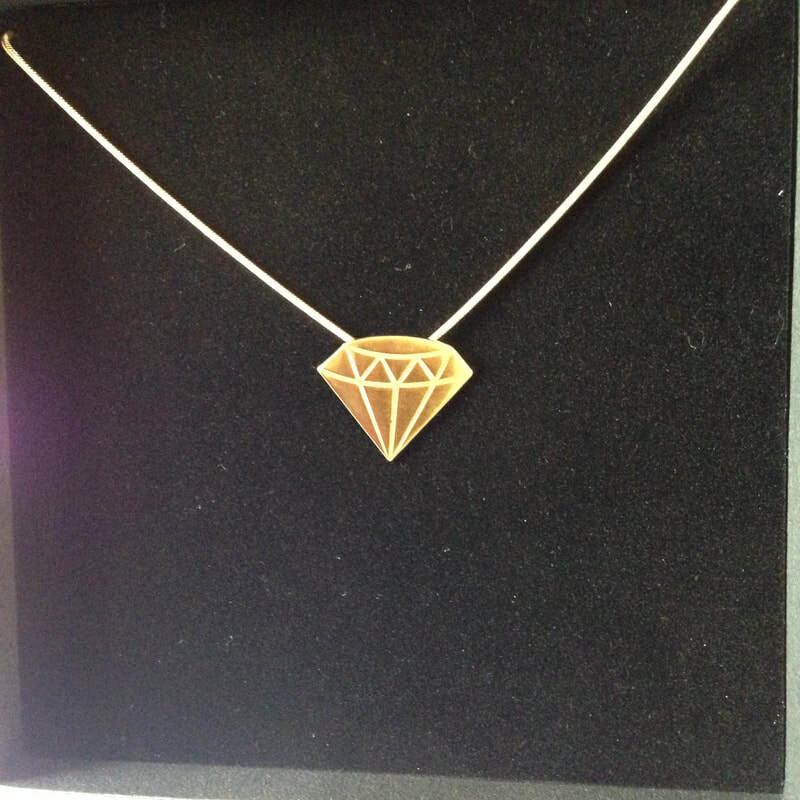 It is made from solid silver and then plated in 24ct gold. It has a thin loop on the reverse for fixing it onto a chain. It is part of my geometric diamond collection, which includes necklaces, bracelets, pendants, brooches, diamond studs and drop earrings. 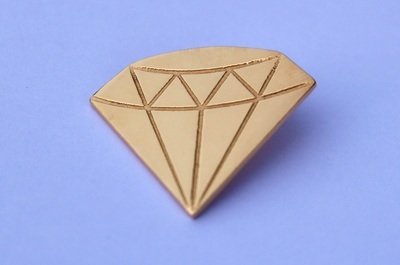 Dimensions: Each diamond is 34mm x 30mm in 2mm thick solid silver which is then gold plated in 24 ct gold. 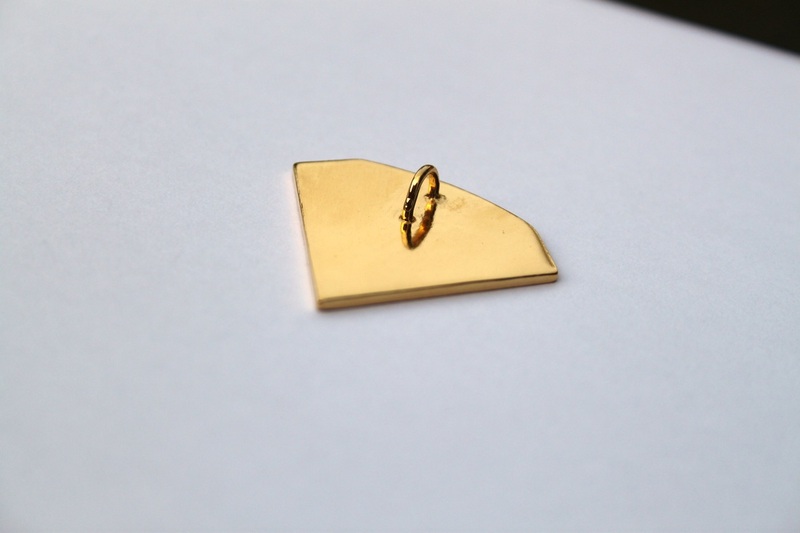 This pendant comes carefully packaged in a lovely black jewellery box with felt inlay.